Get on the boat of success! “Most people get interested in stocks when everyone else is. The time to get interested is when no one else is. You can't buy what is popular and do well” - Warren Buffett. What makes him bigger than this remark is the fact that he had nothing in his hand when he first started and climbed up to the highest peak of the mountain with his own effort. Kim Dae-yu, CEO of MP Stock, has somewhat similar start like Warren Buffett. Back in his 20s, Korea saw a boom of securities investment and Kim observed many fell into great loss and among them was his father whom he admired and loved dearly. However, it ignited his interest in securities to a greater level that he read extensively of more than 300 books home and abroad including charts of the Harvard Institute of Economic Research while sleeping 3 hours or so a day. So he started with nothing in his hand but with his own knowledge, principle and rules. 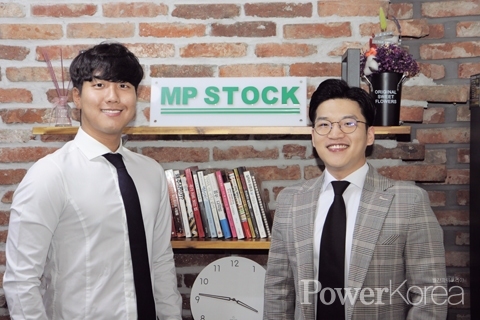 10 years have passed and he now is CEO of MP Stock that has 1,000 members. On the same boat towards success!